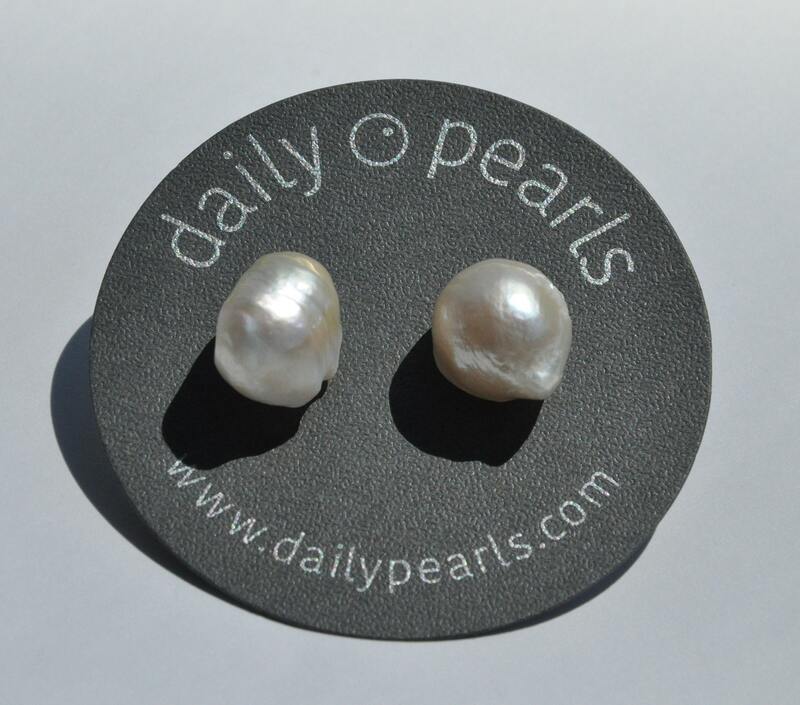 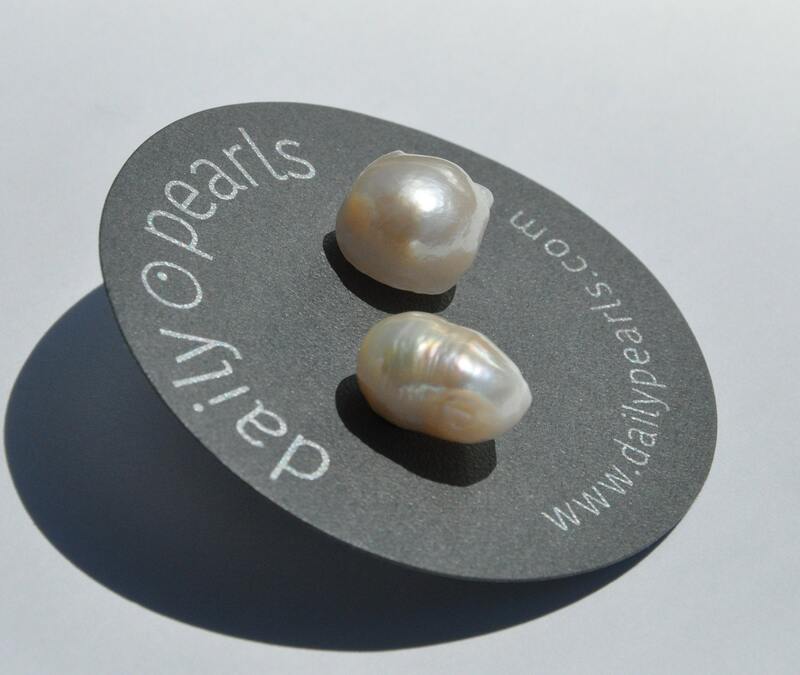 These earrings are in Daily Pearl’s “large” category, meaning they’re anywhere from the small side of large (13mm) to enormous (30mm). 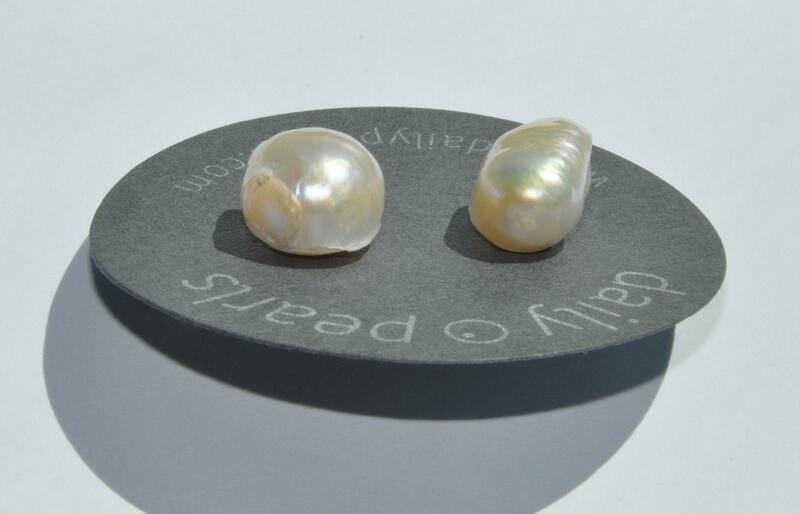 Most jewellers use these sizes for drop earrings, but we love the simple look of studs (of all sizes!). 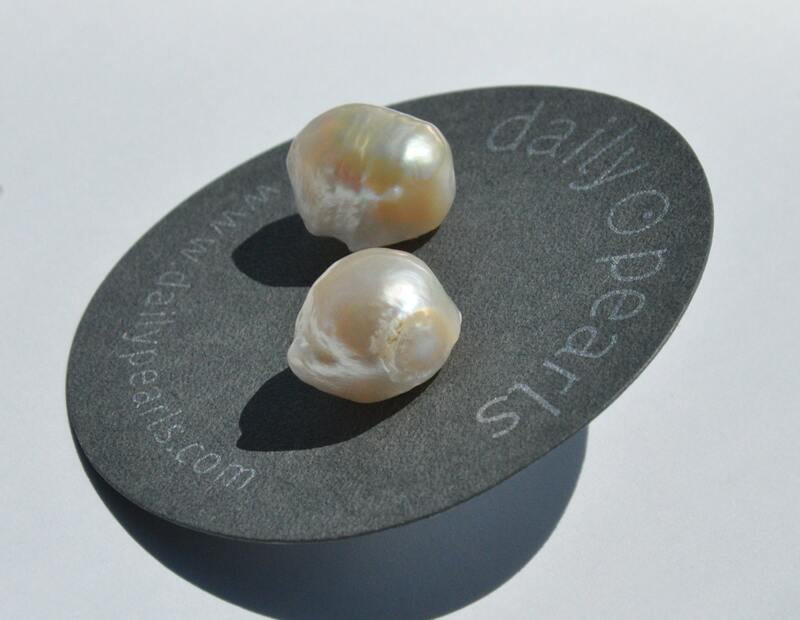 This particular pair features a lot of everything: texture, shape and colour. 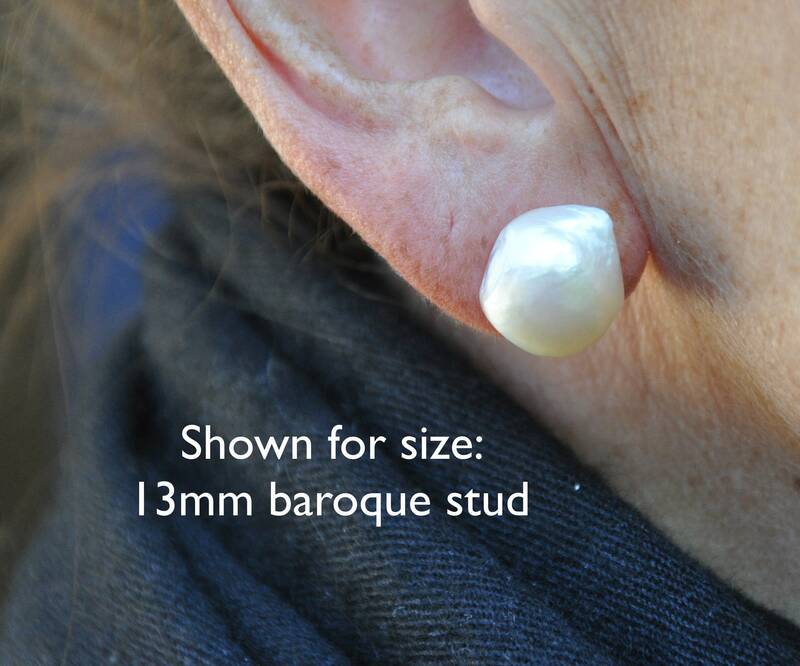 The earring posts are sterling silver, and the earrings come with 10mm sterling silver butterfly backs, which prop up large studs so they don't droop.